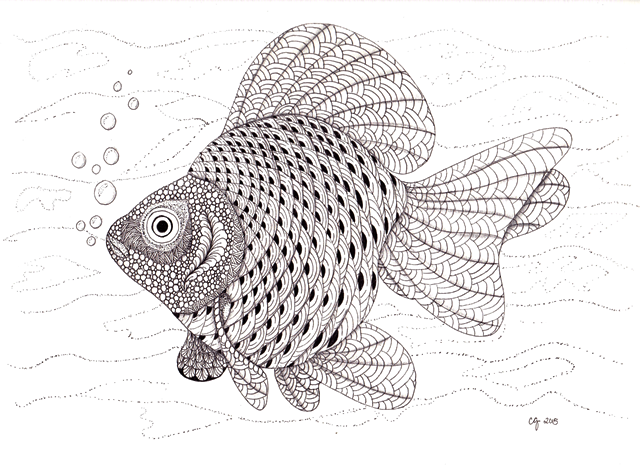 One of my Best Friends loves fish…..and has a birthday in March. This year I made up my mind to make her one of Ben Kwok’s awesome templates. I’m very happy with how it turned out and she loved it. And this morning it’s featured over on a group at Redbubble – a really nice way to start out my Monday and week. We brought you home in 2008 when you were barely 2 years old. You were the rabbit that made it possible for me to have a rabbit I wasn’t allergic to. We even tried to get you a mate, but the hilarity of you two together made it clear there was not going to be any little rabbits. 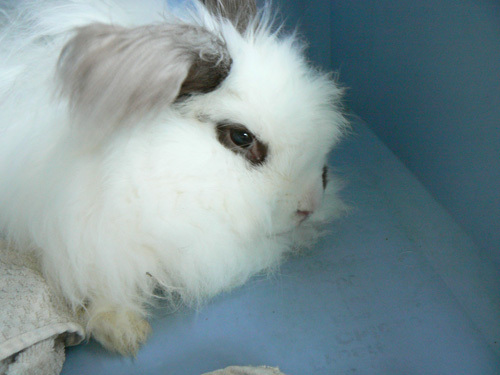 You were a tough cookie, lover of dandelions, flipper of food dishes – you patiently put up with me learning how to groom all that angora you grew sooooooo well, and behaved like a gentelman during those grooming sessions. According to the Chinese Zodiac, starting February 19, 2015 will the The Year of the Sheep(goat/ram). So, you still have plenty of time to order and receive your very own Tangled Sheep 2015 Calendar! Tangled Sheep 2015 on Redbubble. Click through to see what each months sheep is. Thanks! 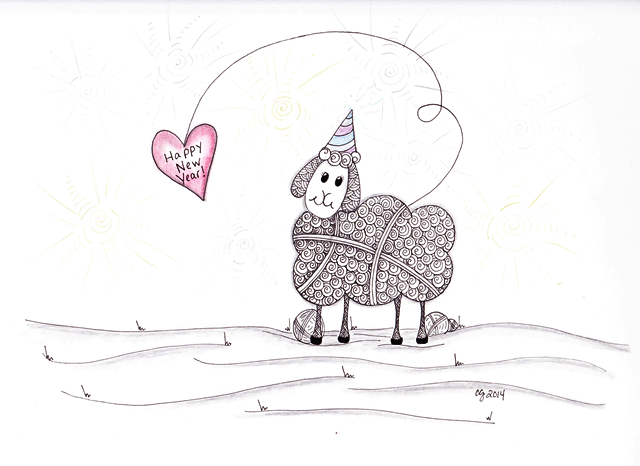 I had two more sheep to make to complete the calendar for 2015 (not to mention ideas for the next calendar, but they’ll happen in 2015) and one of them was this Happy New Year to Ewe. There is a very faint background of fireworks around her….this is of course, January’s Sheep 😉 She is available singly and in the Calendar at Redbubble. 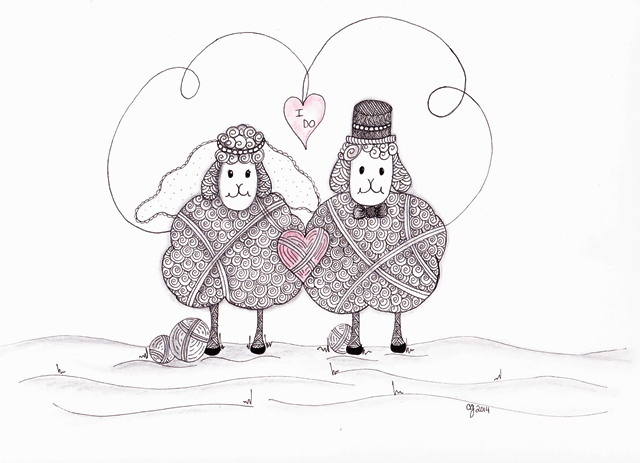 I’m glad I was able to get them done – the last one was a St. Patrick’s Day sheep….stay tuned for that post. Of course it didn’t help that I came down sick on Sunday – fever, cough and now a doctors visit today. I know if I don’t go, I’ll be wishing I did around Christmas morning. I hear this is going around like crazy, whatever “IT” is, but I’m just hoping to start feeling better as quickly as it came up on me. This just goes to show – no matter how much I take vitamins, how much I wash my hands, those sneaky little germs get through. Grrrrr! I hope you have a lovely, healthy, happy, Merry Christmas! ETA: Just had my first rude comment since I started this here blog, so I guess I’ve been quite fortunate. For those of you who enjoy reading, seeing the art work – thanks for sticking around. If you don’t, just move on. I don’t tolerate rude, non-constructive comments. You’re basically just saying something for the sake of being mean. You don’t have to like the blog, my art or anything I do. And you certainly don’t have to stick around and see anymore. Carry on and Happy Holidays. 2015 Calendars are Now Available! Feeling a bit under the weather – cough, fever and general ick. But I’m trying to carry on…. I made a goal and I really, really wanted to reach it. 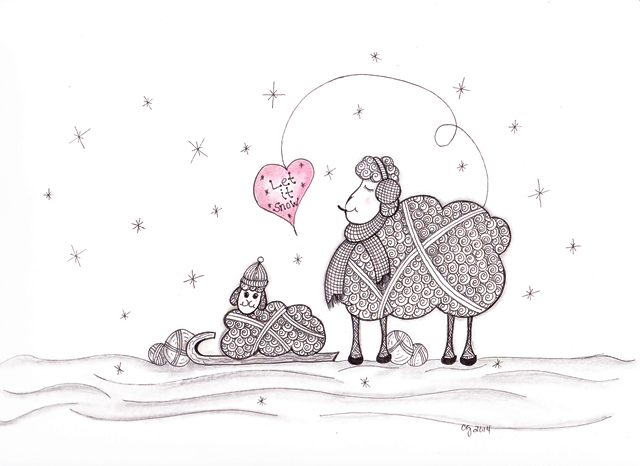 Not only is the Tangled Sheep 2015 Calendar available now….. 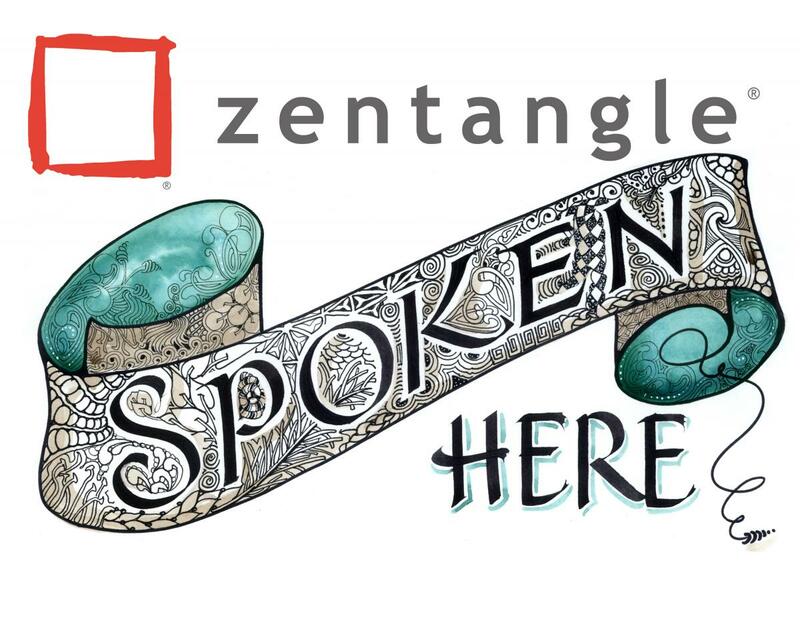 But I also made a Tangled ART 2015 Calendar as well…you know, for all of you who say Sheep? Eh. Both Calendars are available on Redbubble now. You can scroll through the months and see what art is on each month, too. 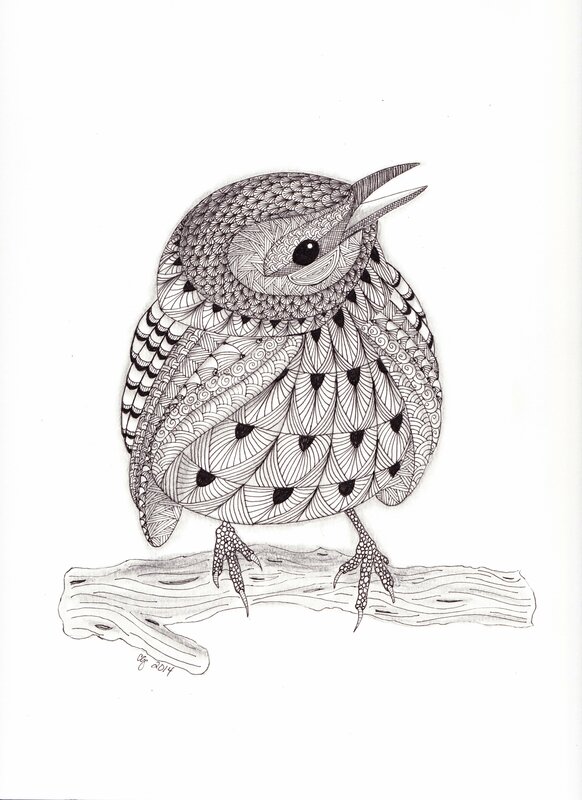 Just click on the link and thanks for looking! My newest addition to my Sheep Tangles….. 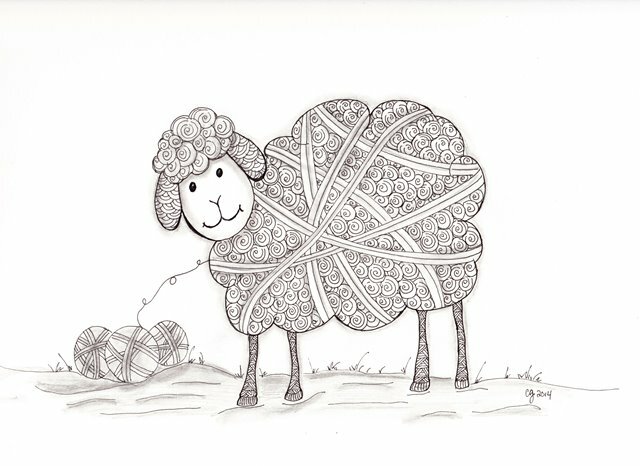 I really, really wanted to get my calendar up on Redbubble….I’m not giving up hope yet…two more specific sheepy tangles to go – stay tuned! Keeping a to-do list has really helped with my big problem – Procrastination. 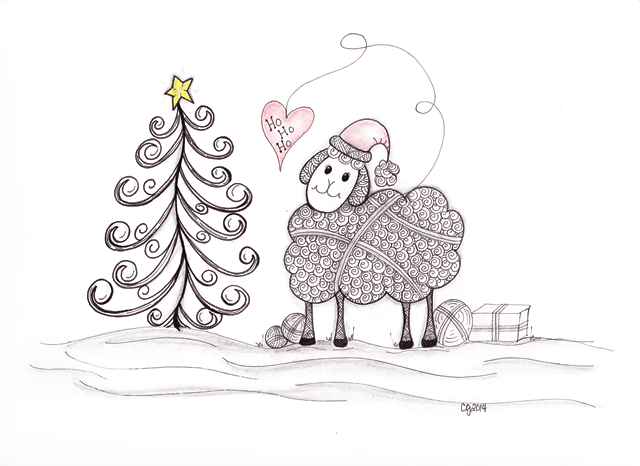 I was able to get not one…but three sheep drawings done yesterday, along with etching some ornaments, getting the guest rooms ready for holiday guests – yay! You saw the Thanksgiving Sheep yesterday, but I had two more I needed to get done before the Art show December 6th…because it’s a Christmas show. These are also available on Redbubble – and I was quite excited to see some sales already this morning! Thank you, whomever you are – you made my day! These designs are all available as Prints, Cards, Stickers, Pillows, Tote bags. I didn’t enable phone covers, mugs and travel cups, but drop me a note if you would like them available that way. I’m working very hard to try to get the last few designs I have in mind done and uploaded so I can get a Calendar available – I’ve had a few requests for that, so I’m going to give it a try. Thanks again – the support means so much!